Manipura is positioned at the root of the navel. It has a shining Lotus of ten petals, of the color of heavy-laden rain clouds. 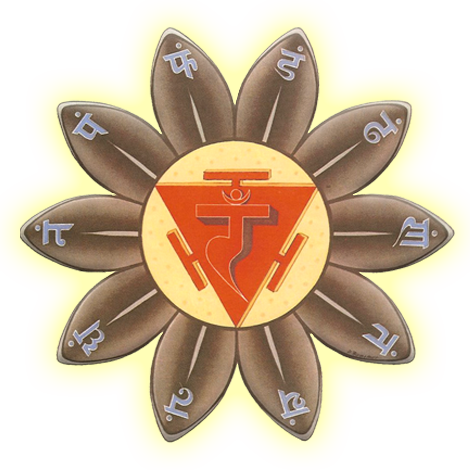 It is associated with the element of fire, triangular in form and shining like the rising sun. The positive aspect of this chakra is Peace. It is in Manipura that we really free ourselves from our illusion and our complexes.